The acronym for ITIL is Information Technology Infrastructure Library. ITIL foundation certification is a course for the people who are working as support staff in Service Desk, as business analyst, as IT Managers and IT support personnel etc. Getting a certification in ITIL by various IT professionals can be best as, this lays the foundation stone for the people in IT professional to grow. Because ITIL certified person represents that he has got good knowledge on the best practices that’s’ been used in the IT industries and they are ready to apply this knowledge for the betterment of organization and their future. Self- study Mode -> Wherein you can study the materials available online and appear for the examination. Roughly, it takes around 3 days to complete the course online. Class room Mode -> There are so many institutes who claim that they provide world-class training and they finish the course in 1-2 days depending on the number of hours you are ready to spend. The examination contains 40 multiple choice questions and you will have 1 hour of time to finish the examination. You need to answer 26 or more questions correctly to pass the examination and get the certificate and then you can use ITIL certified in your resumes which adds in extra weightage to the resume. The trick to clear the examination is that you have to put everything aside what you know from real world situations and you have to read the syllabus to pass the examination. Once, you get the certification and update in your resume you can look for a position or job change. This plays a very crucial role in selecting your resumes to consider as suitable candidate from the crowd. Now, many organizations consider this is as cut-off criteria for selection of profiles. Once you get through the selection process the knowledge that you acquired give you the strength and boost your confidence in clearing the interview and land in lucrative position. ITSM Credibility: It might help people who are working in ITSM area as they have to apply the theory in real life situations with common sense to yield better results. Marketability: No one in this world work for free. You work so that you can earn more money. So if doing certification can yield you more money it’s always worth to invest for better future. Now, ITIL certification has helped various candidates a lot in their jobs as it gave them a proper understanding of the process that happens at the workplace. The most important thing is that you can apply theoretical knowledge in your process to yield better results. Now, it’s up to you what you are going to do after you get the certification, will you apply the knowledge or it’s just an addition to your resume is completely yours choice. 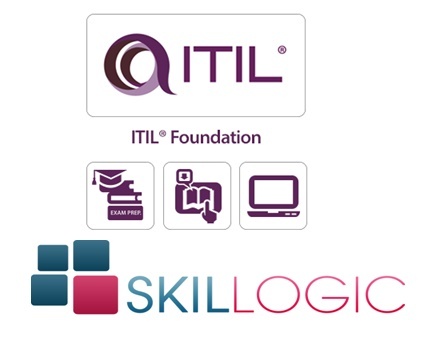 Skillogic Knowledge Solutions is providing ITIL training in India both classroom and online. If you are looking ITIL certification training in Delhi, Mumbai, Bangalore, Hyderabad, Chennai or any other top city in India, then Skillogic is one of the best options.